Young boy runs in a green field. 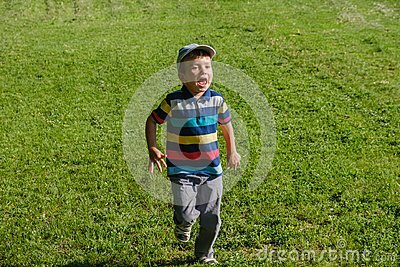 Cute child running across park outdoors grass. Young boy runs in a green field. Cute child running across park outdoors grass, smiling.